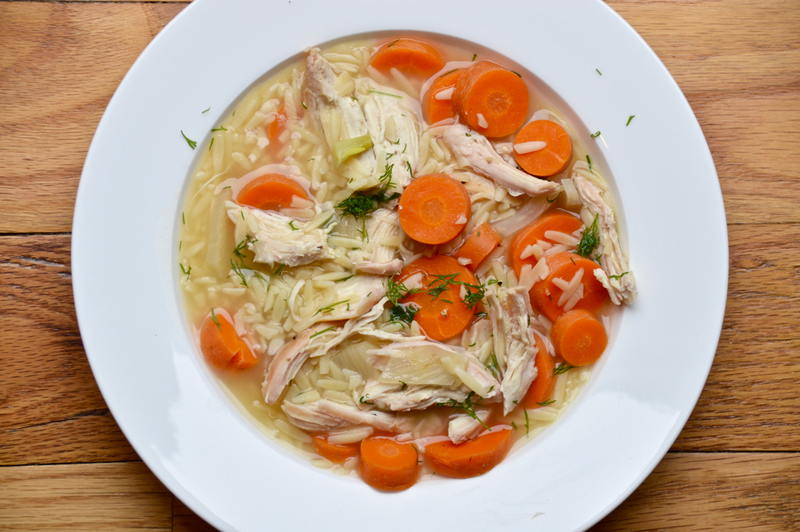 Not only is this Lemon Chicken & Orzo Soup healthy (for 1.5 cups per serving it is 250 calories and 20 grams of protein!!) but it tastes delicious and perfect for a stormy day (like the one we are having as I write this). This easy to make soup has been a favorite of mine for years. If you're vegetarian, you could easily sub out the chicken for mushrooms and use vegetable stock. So the first week of March 2018 has proven to be somewhat difficult. Two nor-easters, so far one 24-hour power outage and lotsssss of candles. Thankfully I have a gas stove, so cooking is not an issue, however I'd rather not cook by candlelight thank you very much! So this time, I'm getting prepared. The dishes are washed, the clothes are clean and I've got about three days worth of food already cooked in the fridge and ready to quickly reheat over the gas stove if needed. This certainly calls for a big pat on the back! Last week we also brought home our new little lady Rosie, whom we rescued/adopted. She is the absolute sweetest dog I've ever met. Playful outside, loves her hikes in the woods and sleeps like a rock whenever she's inside. This is mine and Ryan's first dog together and we are so excited! She wasn't so sure of the camera and what we were doing (hence the ears folded down!) 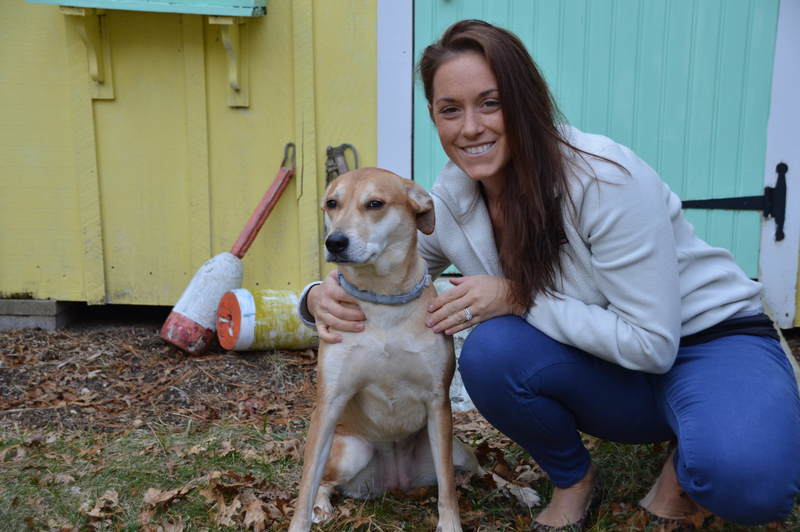 but rest assured we ran around the yard together playing right after the photo shoot was over! But ok back to this delicious little soup here..
One thing I have started to do more of is cook without the use of oil or butter. This of course saves a lot of calories and fat. Instead of the usual sauté the veggies in olive oil before adding the broth, I instead just brought the broth to a boil, added the veggies and let them soften and cook in the broth. The flavors were still wonderful and I saved a ton of calories. 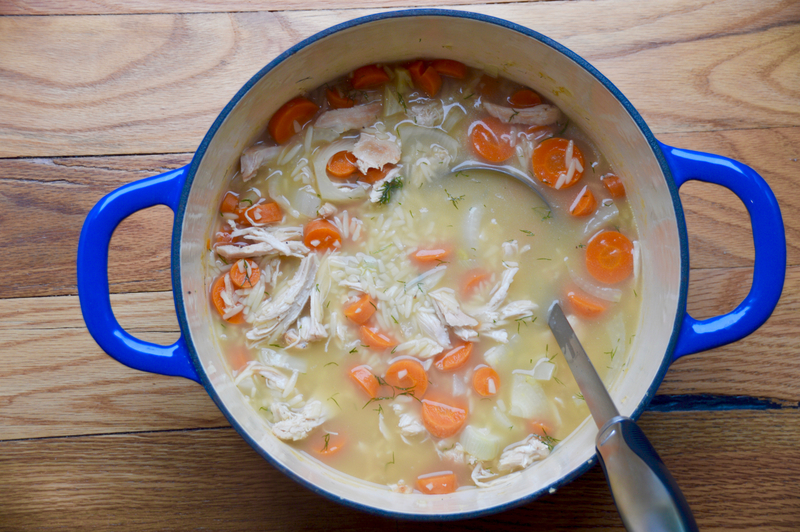 This soup uses very simple ingredients - carrot, fennel, garlic, fresh dill, lemon juice, chicken broth, chicken, salt and pepper. Dill is an herb that goes really well in a soup like this, or mixed with sour cream for a vegetable dip, or used to pickle vegetables. The only problem is that when you buy it, there's always way more than you need, and no one wants to waste food, right? 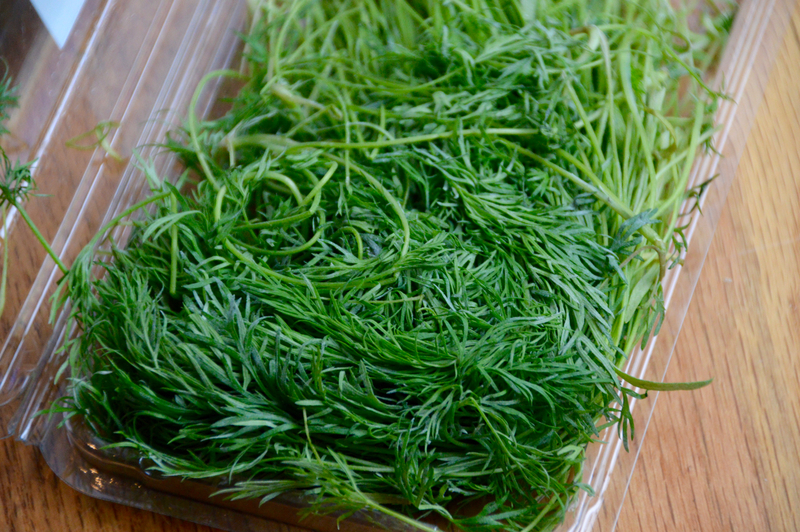 So here is the solution: Place washed and dried fresh dill sprigs on a cookie sheet and place in the freezer. Once the dill is frozen, you can transfer it to a airtight bag. And as I mentioned in the beginning, this soup is all about health - low calorie, high protein and just the right amount of carbs. 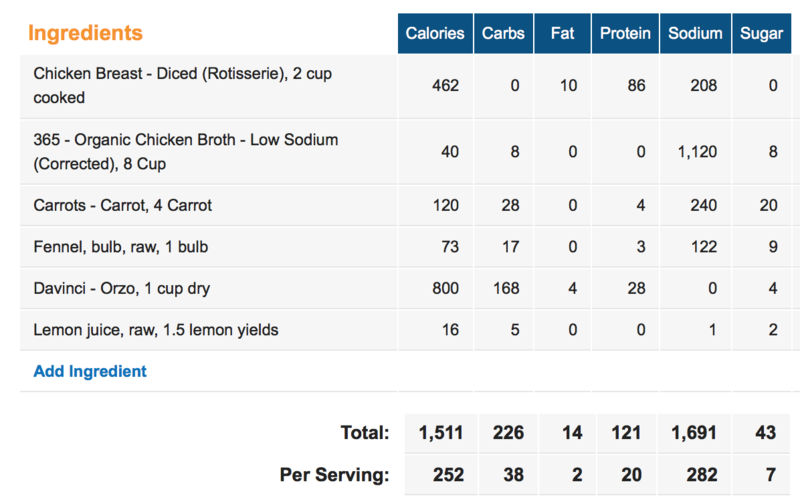 For about 2 cups of soup, you're getting 20 grams of protein, only 252 calories and a measly 2 grams of fat. Not bad for a filling, nutritious meal. See for yourself! Preheat the oven to 450 and line a baking sheet with foil. Sprinkle salt and pepper over chicken breasts and bake in the oven for 30 minutes, or until cooked through. Shred with a fork and set aside. In a soup pot, bring broth to a boil, then add carrots, fennel and garlic. Let that cook for about 8 minutes, then add the orzo pasta (see notes above about adding the orzo now). Let the pasta cook for 8-10 minutes, then add in chicken, lemon juice and fresh dill. Taste for salt and pepper and add more if needed. Serve and enjoy!